The Christmas season has well and truly kicked off in Perth and nothing inspires the Yuletide feeling more than attending a performance of the quintessential Christmas ballet The Nutcracker. For its final season of 2018 West Australian Ballet provides a magical way to celebrate the festive season. Throughout this enchanting performance I couldn’t stop smiling and clapping. This rendition was choreographed by WA Ballet’s Artistic Director Aurelion Scanella, Artistic Associate Sandy Delasalle and retired principal ballet dancer Jayne Smeulders. Set in the 1830s this classic Christmas tale features toy maker Uncle Drosselmeyer creating magical toys for his niece and nephew which he gives out at a traditional Christmas party. After the party Clara sneaks downstairs to see the toys come to life and Uncle Drosselmeyer takes her on a wonderful adventure – it’s a story which never grows old. The West Australian Philharmonic Orchestra superbly orchestrated Tchaikovksy’s score with stunning sets and costumes. Opening night fell on a warm day but at half time as the foam snow fell from the second floor of His Majesty’s Theatre it provided a magical festive touch. WA Ballet’s Carina Roberts who danced Clara with Liam Green’s Uncle Drosselmeyer provided the skill along with acting prowess to send the audience smack into Christmas. 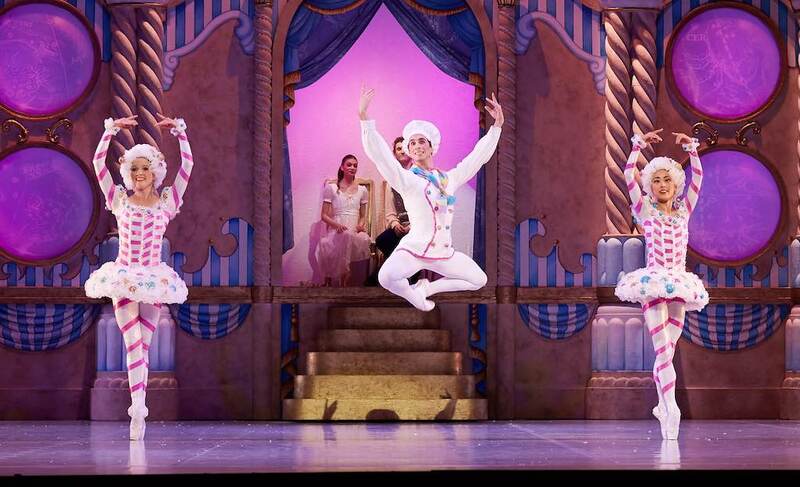 The whole cast was superb but special mention must be made to the stunning pas de deux performed by Nutcracker Prince Matthew Lehmann and Sugar Plum Fairy Claire Vos. Every season I see WA Ballet dancer’s techniques improve immeasurably. I was entranced from the opening scene and the dance of the snow flakes with foam snow falling took me back to a white Christmas in Europe. I hold WA Ballet’s artistic Director Aurellion Scanella completely responsible for my growing adoration and addiction for ballet. One of the things I have enjoyed the most as my love of ballet deepens is introducing many of my friends to the joy that this artform brings to people. It was wonderful to hear from executive director Jessica Machin that the season is so popular that there are just over 1000 tickets left to see what to me is one of the highlights of the Christmas season. Bravo to our ballet company again as they provide a wonderful opportunity to celebrate arts and culture in Perth. The season runs until the 9 December, book now so you’re not disappointed. 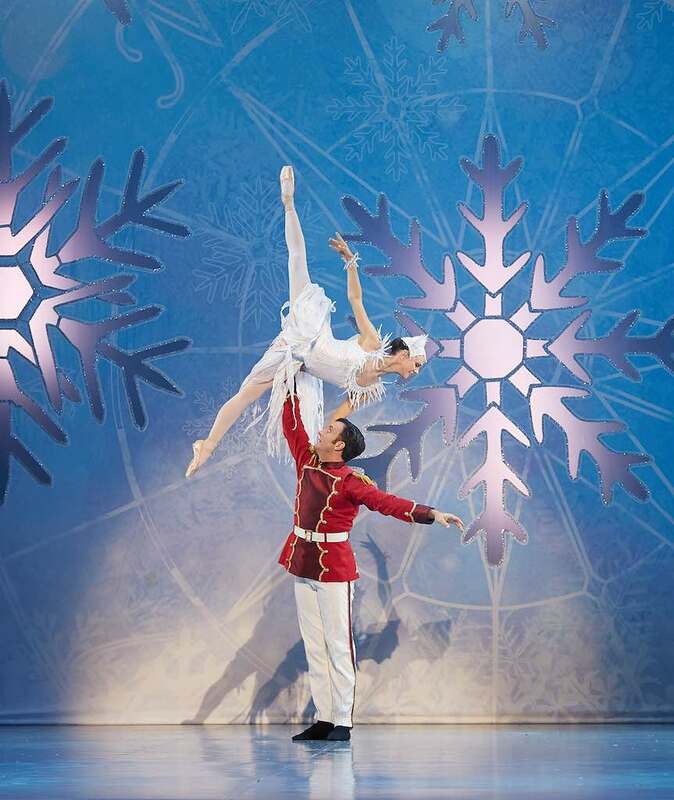 If you want to get into to the Christmas spirit, then don't miss this superb performance of the classic Christmas ballet The Nutcracker from West Australian Ballet. Only 1000 tickets are left book now!